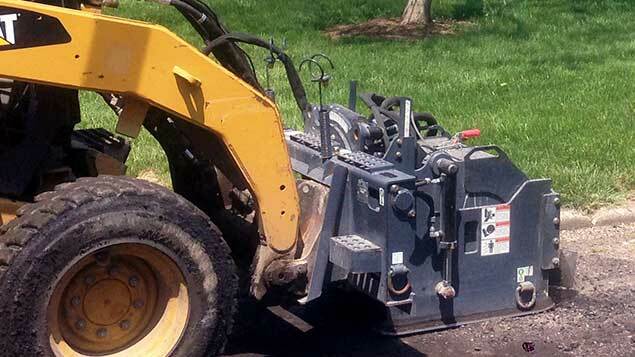 Milling 6-inches deep on average to repair asphalt road damaged by heavy truck traffic. 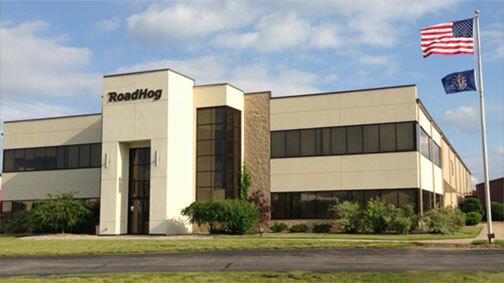 Experienced Leaders in Road Milling Equipment. 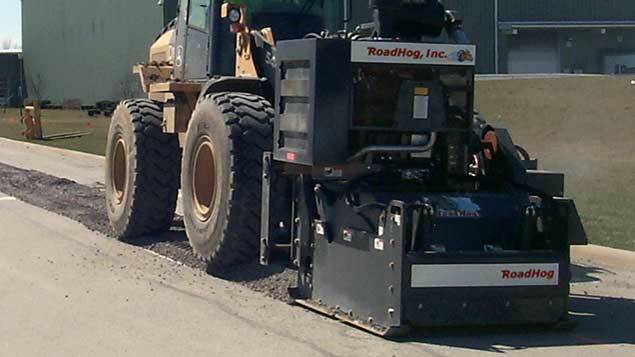 RoadHog attachments are ideal for many applications in road maintenance and building. 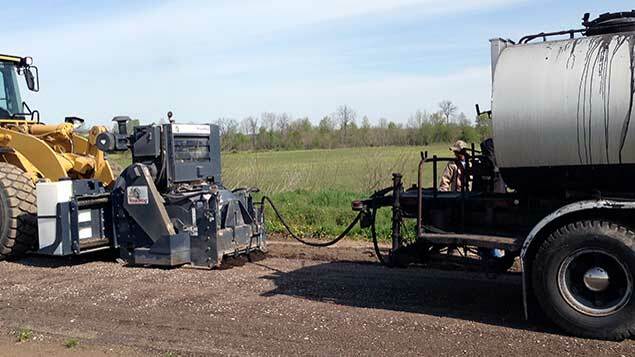 Milling asphalt prior to overlay, repairing potholes, base failures, road and shoulder reclamation, full depth reclamation (FDR), soil stabilization and cutting utility trenches are just some of the applications we specialize in. 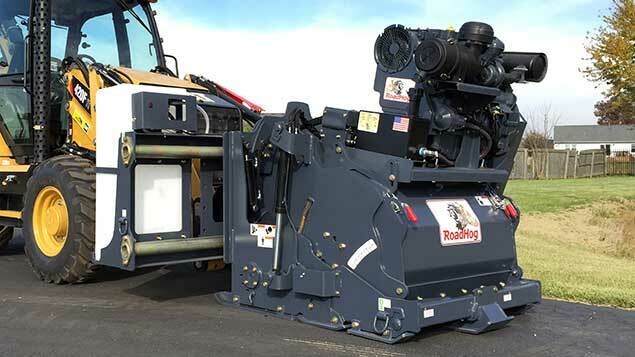 RoadHog has a complete line of products from hydraulic powered attachments to self-contained, engine driven attachments to match the right work tool for the job at hand, coupled with unparalleled customer support. 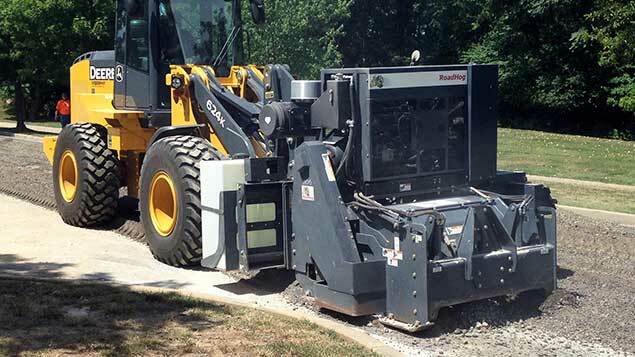 RoadHog offers hydraulic cold planers, road saws and brooms for both standard flow and high flow skid steers that can be run on any make and model from Caterpillar to Takeuchi. 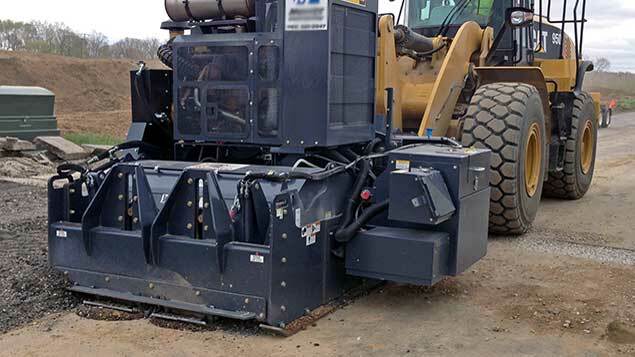 Engine driven cold planers are manufactured in a wide range of sizes from 18-inch to 96-inch cutting widths and from 50 HP to 275 HP Tier 4 engines that can be matched with a wide variety of host vehicles including skid steers, tractor loader backhoes and wheel loaders. 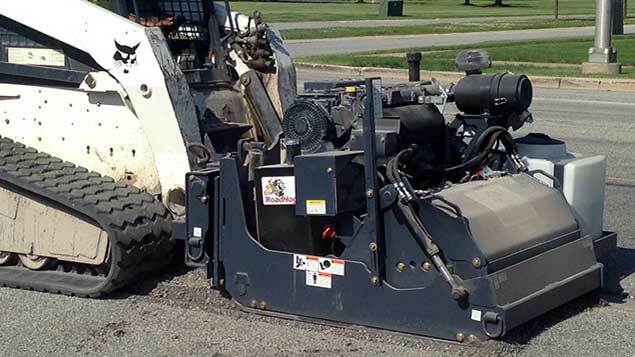 Cities, counties, state DOT’s, paving, maintenance and utility contractors can all benefit from the cost and time savings that RoadHog attachments will provide. Governmental agencies may utilize the benefits of current contracts in place through our cooperative purchasing partners below.